Through images on TV. the Osprey is a familiar bird plunging into water and rising with a fish in its talons. Other names for the Osprey reflect this behaviour, including fish eagle, sea hawk, river hawk, and fish hawk. It is a fish-eating bird of prey with a cosmopolitan range. In the tropics and sub-tropics it is resident. The European population migrates to Africa after breeding. 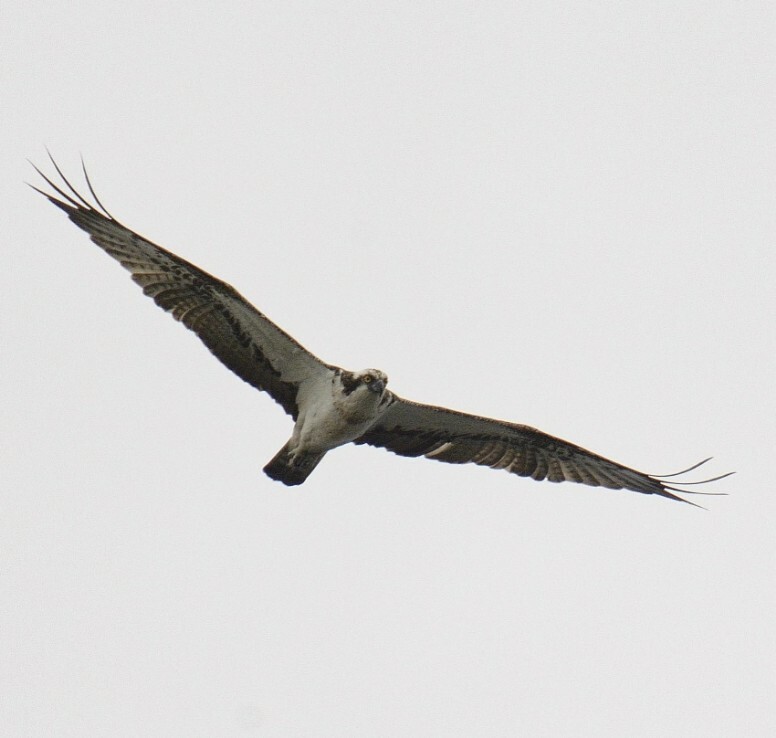 The Osprey formerly inhabited much of Britain but heavy persecution, mainly by Victorian egg and skin collectors, during the 19th century and early 20th century brought about its demise. The Osprey became extinct as a breeding bird in England in 1840. It is generally considered that the species was absent from Scotland from 1916 to 1954. In 1954 Scandanavian birds re-colonised Scotland naturally and a pair has nested successfully almost every year since 1959 at what is now known as the Osprey Centre at Loch Garten. By 1976 there were thought to be fourteen pairs nesting in Scotland. Fifteen years later, in 1991, there were 71 pairs. In 2001, 158 breeding pairs were located. Because of the slow geographical spread of breeding Ospreys, in 1996 English Nature and Scottish National Heritage licensed a project to re-introduce the Osprey to the Nature Reserve at Rutland Water in England. The maps produced by the Bird Atlas partnership clearly show the spread of this species in the twenty years between the atlas of 1988-1991 and the atlas of 2008-2011. The Bird Atlas partnership consists of the British Trust for Ornithology, BirdWatch Ireland and the Scottish Ornithologists' Club. Every 20 years or so volunteer birdwatchers carry out a complete stock-take of the birds of Britain & Ireland for the Bird Atlas. These major atlas projects are crucial in helping us to understand how our wild bird populations are faring. Our local "Arran Bird Atlas 2007-2012" was produced by the Arran Natural History Society as part of the last national atlas. What about Osprey on Arran? At the moment it is an occasional passage migrant with only thirteen records in the last ten years. Three of these records have been in the month of May and three in September. This year, unusually, there were two records in May, a week apart. These records may suggest an interest in breeding on Arran. Time will tell.